Last week I was at CES. After walking the West Hall, which housed newer tech categories such as IoT and Smart Home, I was absolutely amazed at the scale of Alexa’s presence. In fact, at one point I joked to a friend “Babies born a couple of years from now will learn to say mama, daddy, …then alexa!” While that may be a bit of a hyperbole, here’s 4 reasons why I believe Alexa will win the battle to become your home assistant. A lot of people think Alexa is just about Echo. I did too until recently. Nope. Not even close. At this year’s CES, there were countless devices that could be voice-driven via Alexa. From washing machines to headphones. Furthermore, Amazon’s DNA is in building platforms that welcome 3rd parties: Amazon Marketplace, AWS, and Fulfillment by Amazon to name a few. This approach will be critical to succeeding in the home. Hardware requires far longer planning and investment cycles to ship a product as compared to software. So 3rd parties developing Alexa-enabled hardware will need to place a relatively big bet on Alexa. They’ll only be excited to do that if they believe Amazon is committed for the long-term to an open platform where everyone wins. Alexa learns from every interaction you have with it. More importantly, since Alexa brokers all interactions between you and 3rd party Skills, Alexa gets to observe all commands and responses even when you’re not using an Amazon-developed command. No other platform — not Google, Apple, or Facebook — has that privilege. I suppose to some extent Facebook and Google get to observe your click behavior on 3rd party websites through tracking pixels/beacons, but they don’t gain deep understanding. In other words, Facebook/Google may know you like to order food online via UberEATS, but they won’t know what you order. Alexa, in theory, would. The beauty is that the commands you tell Alexa tend to be very meaningful and specific. “How do I make Lasagna?” “What’s the 49ers game score?” “Play a song from the The Weeknd”. Each one of these examples expresses something about you. Using basic semantic analysis coupled with the fact that Alexa knows which Skill you’re interacting with, Alexa can over time construct a highly structured profile of you..e.g. Food Preference -> [Pizza: 33, Lasagna: 14, Tuna: 13,….]. Moreover, Alexa could make this profile available to Skill developers. So, when you decide to try the EAT24 Skill instead of using UberEATS, EAT24 can draw upon your Alexa profile to bootstrap it’s understanding of you from the get-go. That’s huge. Note: My guess is if that actually becomes a reality, Amazon/Alexa will necessarily want to keep that Profile close to its chest. Maybe developers can only draw upon that Profile if their service is running inside of AWS where the Profile is accessed only via a special user auth token. Also Note: Today, Alexa does not distinguish between voices. So technically it can’t really build a profile on you so much as your household. I imagine, though, that this will be added soon since the speaker recognition need happen only in the cloud, not on the device. The search engine — specifically, Google — is the de facto starting point for the Web and to some extent still is on mobile. 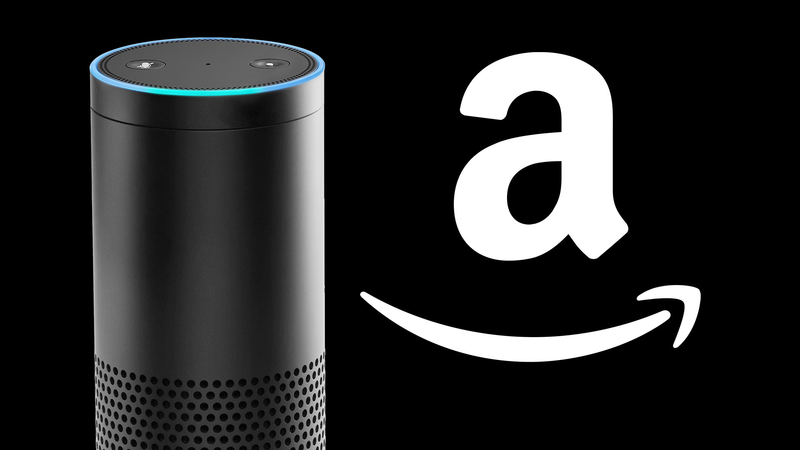 Similarly, the voice assistant will become the starting point for the home. But Google’s dominance in desktop/mobile doesn’t necessarily transfer to the home. The reason being is that Google Search doesn’t automatically make Google Assistant much better than Alexa. In fact, it’s not clear if it makes it better at all. There’s 2 types of commands that you can give to a voice assistant: information and action. An information command is something like “What’s the weather forecast?” An action command is something like “Close the garage door”. The information commands that you are likely to issue to a voice assistant are relatively simple in nature. While Google Search has become very good at answering such questions, it’s likely that Alexa will be able to achieve parity in handling these commands. Especially because the Alexa team will be able to prioritize based on which types of information commands are most popular. Moreover, I just don’t think these information commands are the killer app for voice. It’s also worth noting that with these information commands, I probably don’t care what backend search engine is being used to answer my question…Google, Bing, A9, whatever. I just want an answer. So the fact that Google Home is powered by Google doesn’t necessarily provide any real benefit. On the other hand, action commands is what voice in the home is all about. And this is where Alexa and Google have started from a level playing field. And if enabling more and more action commands is indeed a land grab, Amazon seems to have both the lead and the momentum over Google. Of course, Google is also investing big in this space. A potential problem with Google, though, is that a product like Google Home / Assistant is going to involve multiple product areas across the company. Each which will want to claim ownership. Progress will happen but it will be slow and less focused. Sort of like a Google Now redux. Having said that, the recently launched Google Home is certainly impressive and boasts some clear advantages over the Echo.. specifically around voice recognition. Google Home also seems to be playing to its strengths in that it’s focusing less on home automation — where the platform is weak — and instead focusing more on information and entertainment applications which are stronger. The fact that Google Assistant will immediately enable you to interact with the Android apps (if Assistant enabled) on your phone is also a boon for Android users. The challenge for Google is that the battle for the voice assistant platform will happen in the home. Not on your phone. The “killer app” for voice assistants is in enabling the smart home dream that we’ve been watching in Sci-Fi movies for decades. For example, simply giving a voice command to your Hue lights to change switch scene is 10x more convenient/delightful than opening up the Hue app on your phone. As a result, the value you will get out of your Hue lights is essentially 10x greater. The same logic applies for tons of connected home devices. So the most valuable voice assistant platform will be the platform that has the broadest device support. And right now Amazon clearly has a HUGE head start. Side note: Siri…HomeKit… where are you? Finally, the big elephant in the room is what will Apple’s strategy be in the home? Apple has a pattern of waiting for new categories to mature a bit before jumping in (often with an amazing solution that benefits from lessons learned by competing products already in the market). It’s likely we will see Apple do something in the space soon. But in order for Apple to have a chance at winning in the home, they’re going to need to change their attitude towards inviting in 3rd party hardware developers. Unless, of course, Apple’s strategy is to do everything itself…build/buy appliances, light switches, security systems, etc. It’s certainly possible but it doesn’t seem like the right move.